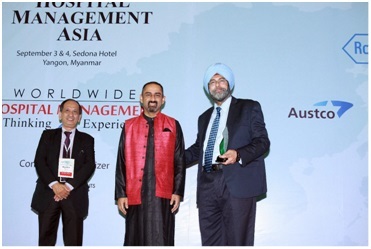 Indraprastha Apollo Hospital was an Excellence Award winner under the Corporate Social Responsibility category for the Hospital Management Asia awards 2015. The awards ceremony was held in Yangon, Myanmar, on September 4, 2015. This prestigious award has proven the significance of A Healthy Start as a CSR project and encourages further expansion of activities to support underprivileged children.